Born in Shanghai, James S.C. Chao has dedicated his life to shipping, trading and finance beginning with his study of navigation in China. 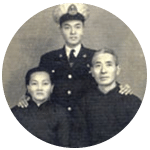 As a young cadet, he completed his college coursework in 1949 before the Civil War in China resulted in his relocation to Taiwan. By the mid-1950’s, he had advanced with unprecedented speed through the ranks to become one of the youngest ocean-going sea captains up to that time at the age of 29. In 1958, he took the national Master Mariner Examination and broke all previous records in the Republic of China by achieving the highest score ever recorded. This honor singled him out for further government sponsored studies in the United States. 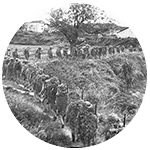 Dr. Chao personifies an important example that even in an era marked by war and strife, our futures can be forged through our own efforts and advancement, even in the most difficult of times. Foremost Group was founded in 1964, and Dr. Chao remains Honorary Chairman to this day (with Angela A. Chao, his daughter, as C.E.O. and Chairman). Today, Foremost Group, headquartered in New York City, is an established, highly respected American organization which enjoys a sterling reputation worldwide for reliability, professionalism and high ethical standards. In May 2004, Dr. Chao became one of the select few to be inducted into the International Maritime Hall of Fame at the United Nations. Dr. Chao has led the global shipping industry in incorporating environmentally friendly designs and technology in his company’s fleet of new ships which are some of the world’s largest environmentally sensitive bulk carriers. 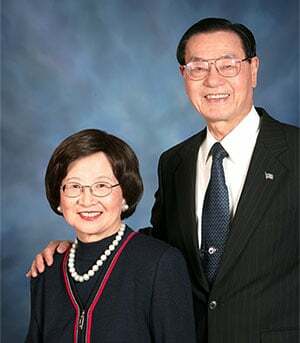 Active philanthropists and volunteers throughout their lives, Dr. Chao and his wife, the late Mrs. Ruth Mu-Lan Chu Chao, through their Shanghai Mulan Education Foundation and other charitable contributions, have awarded thousands of scholarships to students in the United States and China. A strong and dedicated champion of higher education, he has served as an advisor, adjunct professor, and member of the St. John’s University Board of Trustees for decades. In appreciation of Dr. Chao for his devoted service and contributions, St. John’s bestowed upon Dr. Chao as early as in 1981 the highest honor that the University can bestow upon any alumnus, the Medal of Honor. Today, Dr. Chao continues as its Trustee Emeritus. 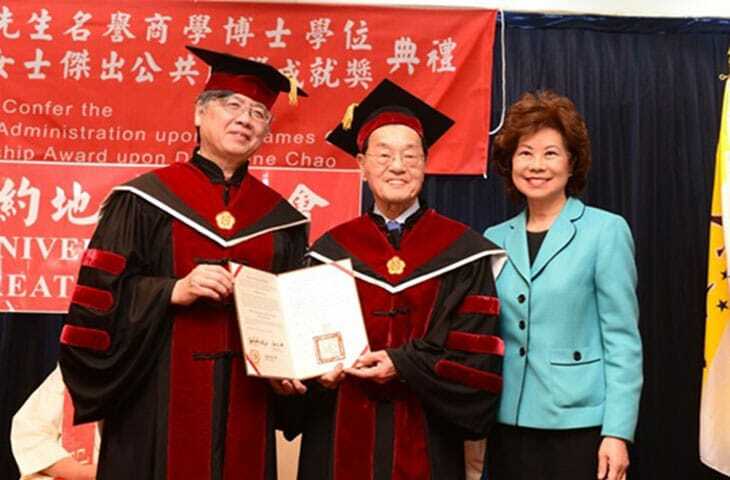 Dr. Chao has served for more than a decade as Chairman of both the Chiao-Tung University Alumni Association in America and the Chiao-Tung University Alumni Foundation of America from 1988-1999. He has also served in various leadership roles in his church throughout his life. Since his beloved wife, Ruth’s passing, Dr. Chao has devoted his philanthropic giving to honor her memory. 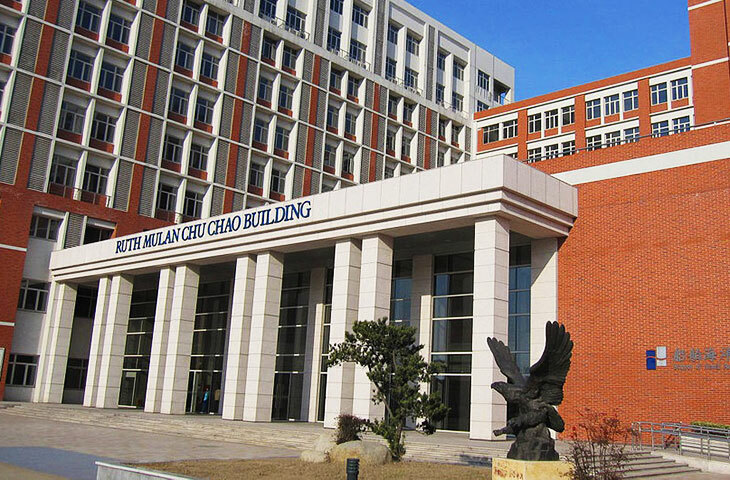 He has built a 336,000 square foot three tower, 10 story academic building, the Ruth Mulan Chu Chao building, at his alma mater, Shanghai Jiao Tong University, and the first 360 degree marine simulation training center in the world, the Mulan Maritime Simulation Memorial Center, at Shanghai Maritime University. He is also working on several major philanthropic projects here in the United States. On October 12, 2012, Dr. James S. C. Chao made a significant gift to Harvard University and Harvard Business School on the occasion of the 350th anniversary of Harvard University and the 50th anniversary of the admission of women to the Harvard Business School, to establish the Ruth Mulan Chu Chao Center and James Si-Cheng and Ruth Mulan Chu Chao Fellowship. This building will be the first on campus named after a woman and an American of Chinese descent. 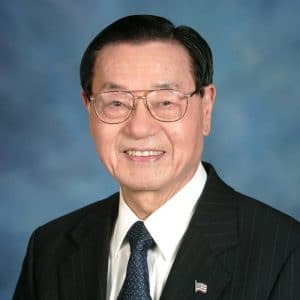 The recipient of innumerable awards and honors for his lifetime record of professional accomplishments and outstanding community service, Dr. Chao was recognized with an honorary Doctorate of Law degree from Niagara University in 1992. In 2005, Dr. Chao and his daughter, The Honorable Elaine L. Chao, the 24th U.S. Secretary of Labor, were the first father-daughter recipients to receive the Ellis Island Medal of Honor simultaneously. He also received the Sing Tao Daily Newspaper’s Lifetime Achievement Award in August as well as the New York State Asian Job Service Employer Committee’s Outstanding Achievement Award in December of that year. 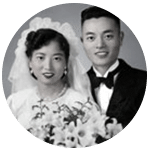 In 2006, the Asian Pacific American community of Kentucky presented Ruth and James Chao with a Special Recognition Award for their Life Accomplishments. That same year, American Legion Post 1291 presented their outstanding service award. Dr. Chao was named among the Top 50 Asian American Business Persons of the Year in 2007. The U.S. Department of Homeland Security recognized him in February 2008 as an Outstanding American by Choice. In 2008, the New York Community Times awarded him the Outstanding Life Achievement Award. Also, Nyack College conferred upon him the honorary Doctorate of Letters Degree and he received the Lifetime Legacy Award from the International Leadership Foundation. In 2009, he was presented with the prestigious Horatio Alger Award at the Supreme Court of the United States. In 2010, the Museum of Chinese in America honored Dr. Chao with its inaugural Outstanding Lifetime Achievement Award for the Chao Family; the first time ever such an honor has been awarded in the Museum’s 130 years. In 2011, Shanghai Jiao Tong University awarded Dr. Chao the Distinguished Achievement & Contribution Award – the unique award offered to its alumni in April, and the Chinese American Academic & Professional Society (CAAPS) offered him its inaugural Distinguished Lifetime Achievement Award in September. A resident of Harrison, New York since 1974, Dr. Chao was married to the late Mrs. Ruth Mu-Lan Chu Chao. Dr. Chao says of his wife: “Ruth and I were married for 57 years before she returned to the Lord on August 2, 2007. My wife is the love of my life and my soul mate.” Together they have six children and six grandchildren. Dr. James S.C. Chao also serves as Chairman of the Chao Family Foundations.